“At the Grammys in 1998, the legendary soul singer stepped in – at the last minute – for Pavarotti, who had been due to sing his trademark piece, Nessun Dorma. So obviously she went ahead and performed that aria. Nessun Dorma is one of the most impressive of tenor arias – with an astronomically high top B at the climax of the aria. It’s also an operatic tenor role. Aretha Franklin is, clearly, neither an opera singer, nor a tenor. But that did not stop her performing the aria at the Grammys in 1998. Well, it would have been a shame to send the choir home. 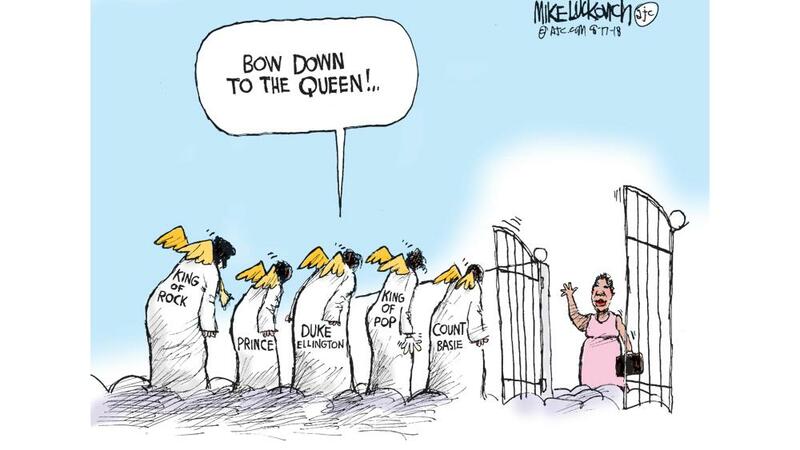 This might be the most Aretha Franklin thing that has ever happened.